RICHMOND HILL, ON. (October 28th, 2016.) Volvo Car Canada Ltd. is pleased to announce the pricing and packaging for the V90 and V90 Cross Country. Both vehicles are set to arrive in the first quarter of 2017 with V90 pricing starting at $59,900 and V90 Cross Country pricing starting at $61,900. With their arrivals to the market, both the V90 and V90 Cross Country will complete the 90 Cluster in the Volvo Cars lineup. The most recent additions to the product lineup, the award-winning XC90 and S90, have been noted as game changers in their respective categories and have been met with overwhelming praise across the industry. The V90 and V90 Cross Country are expected to match this acclaim and are designed on the same Scalable Product Architecture (SPA). They will be available in Canada with the T6 engine variant, equipped with a 4-cylinder, turbocharged and supercharged engine, an 8-speed Geartronic automatic transmission offering 316 horsepower and 295 lb. ft. of torque. In Canada, the V90 and V90 Cross Country will be exclusively offered with all-wheel-drive capabilities. The V90 will offer Momentum, R-Design and Inscription trim, as well as the Cross Country specific trim. The V90 Momentum MSRP is $59,900, the R-Design MSRP is $64,450 and the Inscription MSRP is $66,050. The Cross Country MSRP is $61,900 as previously reported at the V90 Cross Country unveiling on September 15th. 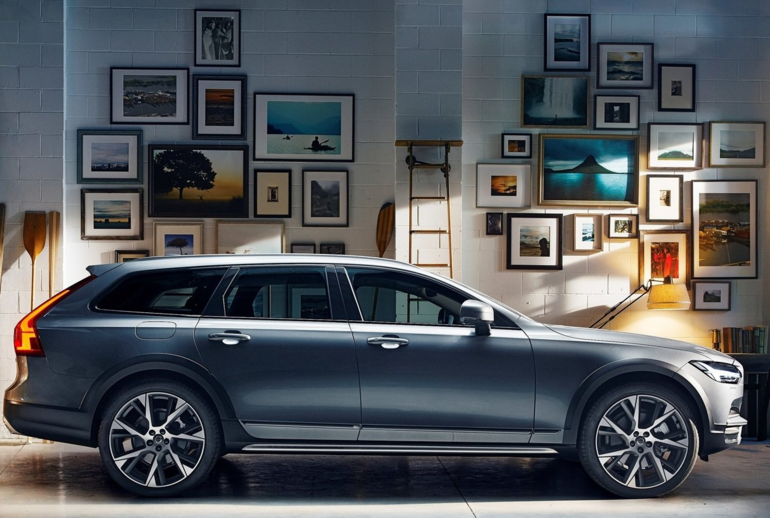 The V90 offers the following packages: Momentum Plus Package ($1700), Vision Package ($2000), Climate Package I ($1350) & Climate Package II ($2300), Sports Seats & Napa Leather ($1800) as well as a plethora of stand-alone options including Bowers & Wilkins Premium Sound system ($3250), Graphical Head-up Display ($1150), Rear Air Suspension ($2350) and Apple CarPlay ($400). The Cross Country trim offers all of those options as well as trim-specific packages Premium Package ($1500) and Premium Plus Package ($2500). The V90 and V90 Cross Country pre-sale is now available; customers who would like to pre-order the V90 or V90 Cross Country can do so by filling out the form below or calling 604-325-1000.